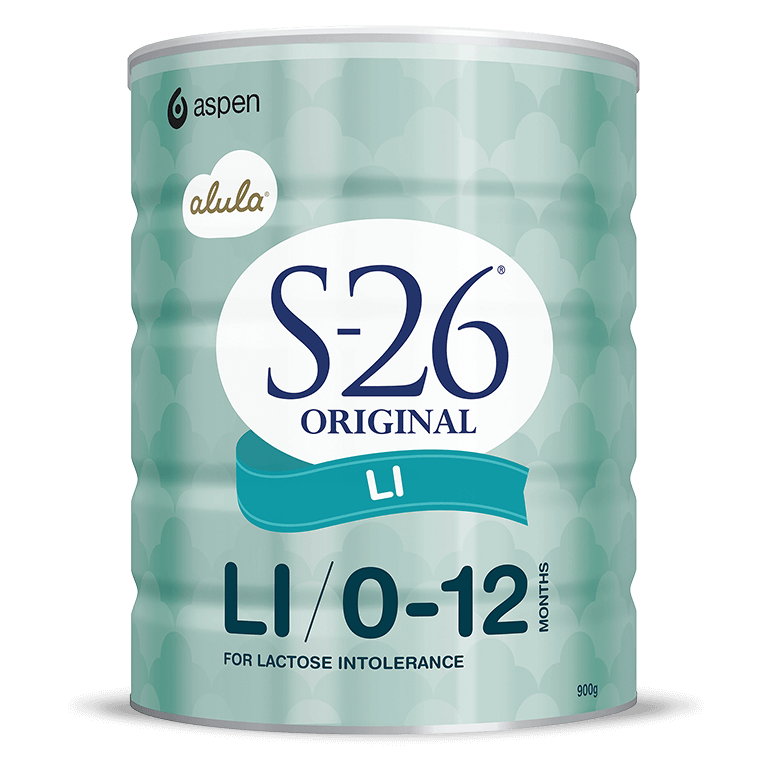 For babies from birth who are lactose intolerant or unable to properly digest lactose, S-26 ORIGINAL LI is a specialty infant formula designed to meet their nutritional needs. As it is a specialty formula, consultation with a healthcare professional is recommended before use to ensure S-26 ORIGINAL LI is suitable for your baby. S-26 ORIGINAL LI is made in Mexico. Corn syrup solids, vegetable oils (including soybean oil), whey protein concentrate, milk protein isolate, emulsifier (soy lecithin), taurine, L-cysteine, nucleotides (cytidine-5’-monophosphate, disodium uridine-5’-monophosphate, adenosine-5’ monophosphate, disodium inosine-5’ monophosphate, disodium guanosine-5’-monophosphate), L-carnitine. The protein source of S-26 ORIGINAL LI Infant Formula is whey protein concentrate and cow’s milk protein isolate.